Jazz Great Hugh Masekela, Fresh Because He's Fascinated The South African trumpeter is one of the giants of African music. Over his long career, he pioneered jazz fusion and even managed to bump the Rolling Stones from the U.S. charts. Still, at age 74, he says, "I feel like I'm just beginning." 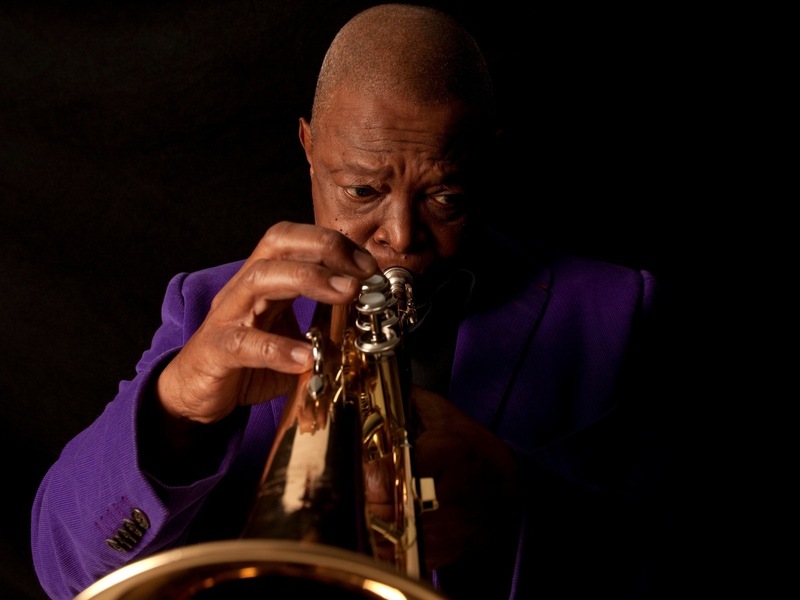 "I was a good boy," South African jazz legend Hugh Masekela assures NPR's Michel Martin. But still, he says, "as a kid, I was whipped on a slow day at least three times." Eventually, Masekela told his chaplain, "If I can get a trumpet, Father, I won't bother anybody." Within a few years, Louis Armstrong, who'd heard of a talented kid in South Africa, sent the boy his own trumpet. Photographer Alf Kumalo captured Masekela's joy at receiving that gift in an iconic photograph. But Masekela says he has always hated that image: "I lost a girlfriend through that picture," he says. "You know, we were very cool at that time, so that was a very uncool picture." She told him she couldn't be seen with him. "Barefootin' with your pants rolled up — I mean, how country can you get?" he says. 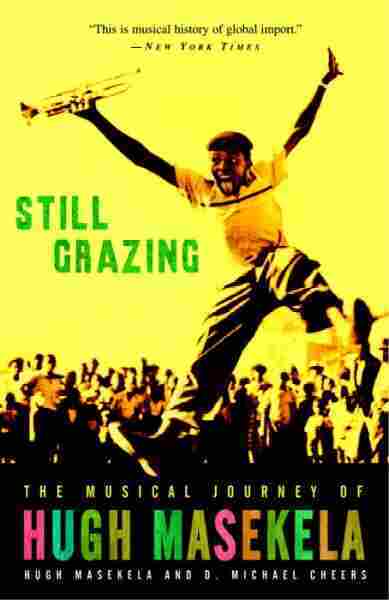 A few years later, the brutality of apartheid made it impossible for Masekela to stay in South Africa. A former girlfriend, singer and activist Miriam Makeba, encouraged him to go to America. "Forget about London," he says she told him, "this is the place to be." Masekela recalls how Makeba "blew the States away" and "was on first-name basis with everybody." She and Harry Belafonte soon gave Masekela a scholarship to the Manhattan School of Music. And he worked part time in Belafonte's band, because, Masekela says, the older musician warned him, "They ain't gonna give you no money, you gotta work!" Masekela had to come to terms with the realization that he might never go home. But what he found most difficult to deal with was the cold. "That really made me homesick," he says, recalling his first experience of snow. He sent a picture of himself to his mother, "and I said, 'I'm not smiling, I'm grimacing.' " Masekela was not sad, though. "It was the greatest time for music in the States," he recalls. "I was surrounded by so much beauty, and so much generosity, and so much joy. It was a new world. It was the world I wanted to live in when I heard records when I was a small kid." Both darlings of the South African music scene, Masekela and Makeba had a brief, turbulent marriage during those years. "Our personal relationship was like not even hills, [but] mountains and valleys," he points out, "but Miriam Makeba was the epitome, the very portrait of what Africa was all about. ... She was the most generous person I have ever known." He brushes off the idea that their marriage was a nightmare. "When you grow up in the township, what me and Miriam went through overseas is very light stuff," he says. Masekela has spoken candidly in the past about his drug and alcohol use. He points to South Africa's history as a reason why he got addicted. "When I grew up, liquor was illegal for African people in South Africa," so they set up speakeasies — or shebeens. "Drunkenness to a great extent was a form of defiance," he says. He started drinking when he was 13 and was 58 when he finally stopped. Masekela points out that he didn't get "sober," he just stopped killing himself. "You shouldn't stop enjoying life," he says, "but you just have to stop beating yourself up." Now 74, Masekela says "I feel like I'm just beginning." He credits his endless fascination with keeping his music fresh. "If music was the devil, I would need an exorcist. That's how obsessed and possessed I am with it, and I have always been." And to all young talented musicians who might feel the same, he has this advice: "Whatever you go into, you have to go in there to be the best. ... It's all about passion and honesty and hard work. It might look glamorous, but it takes a lot of hard work."